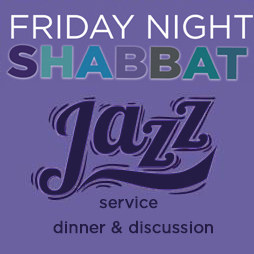 Jazz service and discussion - Join us for a festive Jazz Shabbat Service that blends our ancient words of prayer with syncopation and swing, followed by dinner and speakers to celebrate Earth Day. Veteran climate change activists will lead a discussion of 'The Path Forward: If Not The Green Deal, Then What? to identify what we need to do in the next 12 years to confront a climate change tipping point. We increasingly hear that there are now only 12 years left to reduce our carbon emissions 45% below 1990 levels—a daunting task requiring a WWII scaled mobilization. Please join Rabbi Klein Miles and three passionate, veteran, climate activists to talk about what we need to do to confront the looming climate change tipping point.